Ability Text: Creatures you control have vigilance. [+1] You gain 3 life. 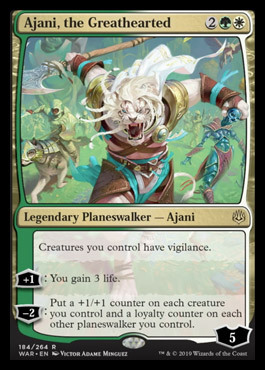 [-2]: Put a +1/+1 counter on each creature you control and a loyalty counter on each other planeswalker you control.